It was a Tuesday morning when I arrived at the gas station in Guaricanos, an urban community in North Santo Domingo, and Ramona, the loan officer, wasn’t waiting for me on the corner like usual. I looked at my phone. It read “7:33 – missed call from Ramona.” Normally, this meant that she was calling to tell me to wait for her, or, that I should find a ride to the morning bank meeting. Just then, a motorcycle taxi pulls up to the corner. He tells me that Ramona called him to pick me up, he’d take me to the meeting. I hopped on the back. Normally, I don’t just board motorcycle taxis when they pull up to the curb, but I know him. His name is Christian and he’s the husband of one of our microfinance clients and a good family friend to Ramona. His wife has been with Esperanza (HOPE’s local microfinance partner) for over three years, and he’s the president of the local motorcycle taxi group which includes about 50 motorcycle taxistas. When you’re the president, it means you’re in charge to make sure all taxis arrive at their appointed stations according to the schedule, all the equipment is repaired, and all disputes about money, territory, and preferred clients are handled with integrity and peace. Leads, but as a servant first and foremost. Firm, but is kind in all her dealings. Caring, but practices tough love. Trusts, but verifies with the good records she keeps. She is what I call one of the real heroes of Christian Microfinance development. I know that you know me personally, and it’s me who tells you the story of Ramona. Very often, I fear that in the monthly newsletters I write to you all, you may think that I single-handedly walk through the rural and ghetto communities of the Dominican Republic providing financial access to the poorest of the poor, read from the Bible, lead songs of worship, preach about the Hope and the love of our Heavenly Father, and manage hundreds of “friendships” who have outstanding loans with Esperanza. Actually, it’s people like Ramona who do all of this on a daily basis, and fortunately, I get to participate. May God bless you this Tuesday, and may you share it with a Morrie or a Ramona near you. This entry was posted in Dominican Republic, Monthly Newsletter on October 18, 2011 by Aaron. On Friday, we drove an hour away from a very rural “city” to a sugar cane batey community. 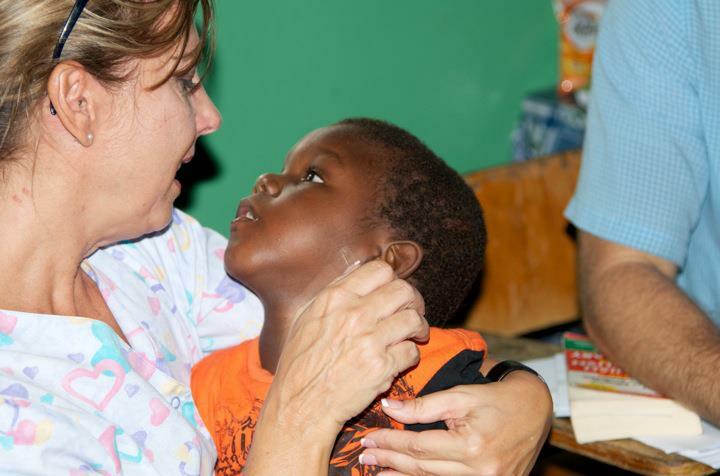 Within our micro-lending program we provide our associates the ability to receive medical treatment free of charge. Unfortunately, these services are few and far between, as they largely depend on the willingness and the resources of doctors or dentists from various organizations and churches. We had the pleasure of working with two doctors and two nurses from Grace Community Church in Orlando, Florida. I was the translator for Scott, a doctor with an extensive career in primary care, ER, and sports medicine. In addition to various assignments, he was the Orlando Magic doctor for quite some time. He and his wife Cissy, have a heart to serve, and for the past couple years have been doing more Christian mission work. They’ve got two grown kids, and three adopted kids. One child is from China and the other two are adopted locally in Orlando. For the next 20 minutes, Scott worked with the young boy to see what mental faculties were present. To our surprise, the boy could walk, talk, dance, play, and was intrigued by Scott snapping his fingers and mimicked the action with his own hand. We tried to talk with the family that the boy needs a lot of dynamic involvement in his life. He needs to be played with, he needs to be sung to, he needs to be danced with, and most importantly, he needs to be loved. It was difficult; very, very difficult. The grandmother spoke mostly Creole, so her friend spoke Spanish to me, I translated to Scott, and Scott spoke English to me, back to Spanish, and then to Creole. It wasn’t really a language barrier. It was more a barrier of education in a community that lacked any sort of medical resources, let alone the ability to know and how to work with special needs. In a community of 800 people of sugar cane workers, I’m not sure how many people had any formal education or medical knowledge. Scott says sometimes people can think that children are “just being difficult” or worse, “possessed.” The family was still frustrated, but I believe that their countenance changed when I told them that Scott and Cissy had a child with similar issues, and six years later, the child was much more active and involved in family life. They always say that you have “God moments” on trips like these. This was certainly one of them. And if I could point specifically to the most touching moment it would be when Cissy picked up the child in her arms and sang “Jesus loves me.” You can see from the picture here that he is completed enraptured in her eyes, and during the song he lifted up his arm to softly touch her face. I’m not sure if you can tell, but Cissy is weeping while she is singing. 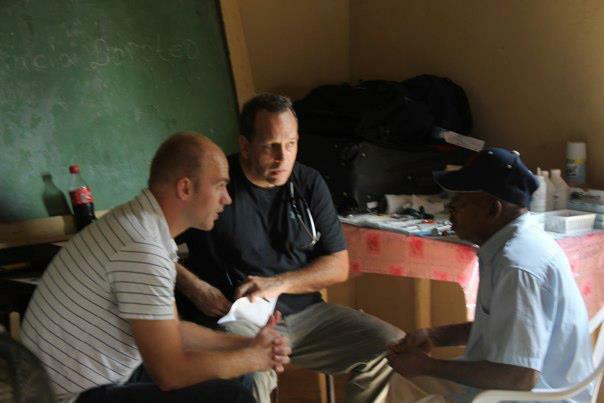 You can imagine what it must have felt like to be on holy ground there at our makeshift clinic. It was amazing how a little boy can reach out and touch us all. This entry was posted in Dominican Republic, HOPE International, Unexpected Blessings on October 3, 2011 by Aaron.